DAKAR, 4 March 2013 (IRIN) - The annual gearing-up of humanitarian programmes to treat the chronic problems of vulnerable Sahelians is a clear sign that development there is not working. As a result, the Sahel is at the centre of the debate on the need to boost vulnerable people's resilience to shocks. Donors are starting to shift their approach, notably the Sahel's biggest humanitarian donors European aid body ECHO and the US Agency for International Development (USAID), but development donors remain behind, and donor fatigue means vulnerable Sahelians this year risk missing out on emergency aid, let alone aid to build their resilience. The US$1.66 billion humanitarian and resilience appeal for the Sahel in 2013 is 5 percent funded as of 1 March. "People are clearly distracted or are looking away from the region or largely through a security lens," said Oxfam's Sahel campaigner Elise Ford. "The challenge is how are you to make good on the resilience rhetoric. How do we consider this appeal?. Despite all the talk of resilience in 2012 we've seen very little from donors on how they're going to finance it." 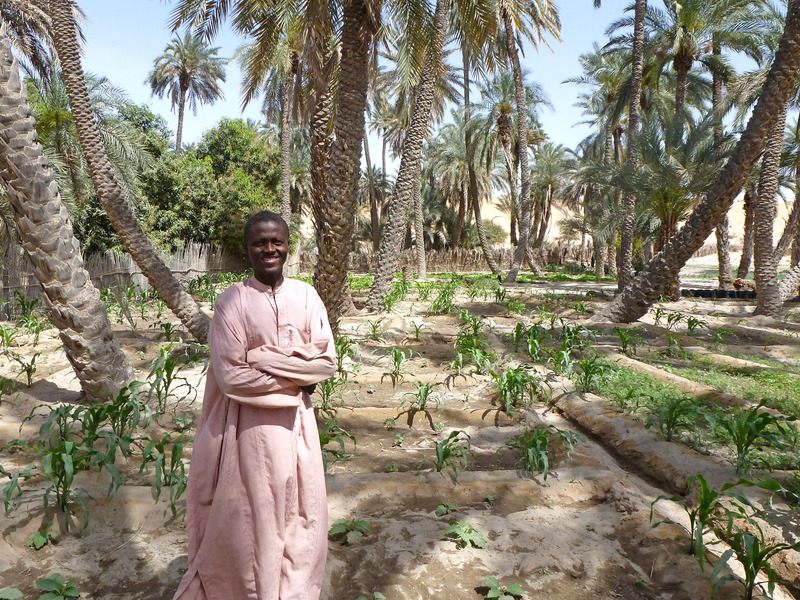 Sahel resilience meetings are being held globally - a meeting was held in Rome last week; another is being held now in Dakar, "but there seems to be a time lag: what is happening right now?" said Ford. For farmers to harvest their crops this year they need adequate seeds by May - this is mere survival, quite apart from embracing a more ambitious resilience agenda. According to a World Food Programme (WFP) study in Niger, it takes families three years to recover from a food security shock, and that is if harvests are good for three years running. Agencies need more money, not less, to make resilience happen in the Sahel, starting from 2013, stressed Jan Eijkenaar, ECHO's resilience and AGIR (Alliance Globale pour l'Initiative Resilience) focal point in the Sahel. But the way things are going, "there won't be enough time to do resilience properly this year," he told IRIN, noting it will take decades to get resilience right over the long term. Having said that, many donors and national governments have understood the need to put resilience at the heart of Sahel programming. The most prominent example is the inter-governmental and inter-agency AGIR-Sahel initiative to build resilience in the Sahel, which has brought together all sorts of actors, including the European Commission (which leads it), the Economic Community of West African States (ECOWAS), the West Africa Economic and Monetary Union, the Permanent Inter-State Committee to Fight Drought in the Sahel (CILSS), the Sahel and West Africa Club (SWAC). "Resilience is a priority now because of flawed development and governance"
"Resilience is a priority now because of flawed development and governance," said Jan Eijkenaar, ECHO's Sahel lead on resilience and the AGIR initiative. We have an opportunity not to fail over the next 20 years. The AGIR declaration gives us the tools and scope to do so." Globally, donors have promoted resilience on a wide scale over recent years, and the Organisation for Economic Co-operation and Development (OECD) and the World Bank are also promoting it, having realized that the impact of their development investments has been insufficient, says French research group Urgence, Réhabilitation et Développement (URD). The backdrop to this has been the financial crisis in Europe and the US, which has led to more scrutiny of how existing aid money is used. The Global Facility for Disaster Reduction and Recovery (GFDRR) analysed development portfolios and assessed that some had increased risk and poverty rather than building resilience. Further, the 2011 fourth High Level Forum on Aid Effectiveness agreed a new approach to dealing with fragile states, with resilience at its heart. The AGIR-Sahel initiative - the Global Alliance Initiative for Resilience in the Sahel - was launched in 2012, spearheaded by the European Commission. Members met in Burkina Faso's capital, Ouagadougou, in December 2012 and will next meet in April 2013 to discuss and plan national resilience roadmaps in Burkina Faso, Chad, Mali, Mauritania, Niger and Senegal - to be adopted in December 2013. The focus is on protecting the most vulnerable; and strengthening health and nutrition systems, food production sustainability and access to food, governance of food and nutrition security. USAID has set up a joint planning cell for building resilience in the Sahel, in which experts in governance, food for peace, nutrition health, natural resources management, monitoring and evaluation, and other areas jointly devise a strategy to determine what the problems are and how to approach them. On the back of this, USAID launched its resilience strategy in December 2012. Funding for resilience will be announced soon, but sources say it is likely to be in the $125 million range. The agency is focusing its resilience pilots in Niger and Burkina Faso based on their vulnerability, pre-existing USAID humanitarian and development projects there, and resilience-focused governments. Programming will involve three pillars: economic growth, governance and health. The idea is to develop resilience-based five-year funding projects, with money from different pots, which will involve, among other things, linking up humanitarian and development projects. Specific programmes might involve: intensifying agriculture, diversifying income, developing drip irrigation, helping farmers access better seeds, using conservation farming, getting different types of income to families, helping migration where useful, better conflict mitigation at government level, improving coordination between different departments, natural resource management, changing breastfeeding practices, and promoting access to drinking water. USAID's `Yaajende' ("abundance in the Pulaar language) project in Senegal is an example of resilience programming without the label. It is a five-year-or-more project which aims to boost food security in select regions - using a health, nutrition, agriculture, water and sanitation, good governance, and business approach. It aims to address how to make more food available by upping and diversifying production; to increase people's access to food by addressing all the ways that sufficient food does not reach the market or vulnerable households; to make food more usable through better nutrition and water and sanitation; and to work on transparent governance at the district level to make the approach sustainable. The European Union funded the 2011-2012 Horn of Africa crisis with 800 million euros, and the Sahel with 500 million euros. In 2012 and 2013 it will direct 270 million euros to resilience in the Horn; and 750 million euros to AGIR over the next three years. Activities outlined in a resilience policy communication will include building social safety nets for the poorest, supporting national resilience strategies, improving early warning and developing creative approaches to risk management. 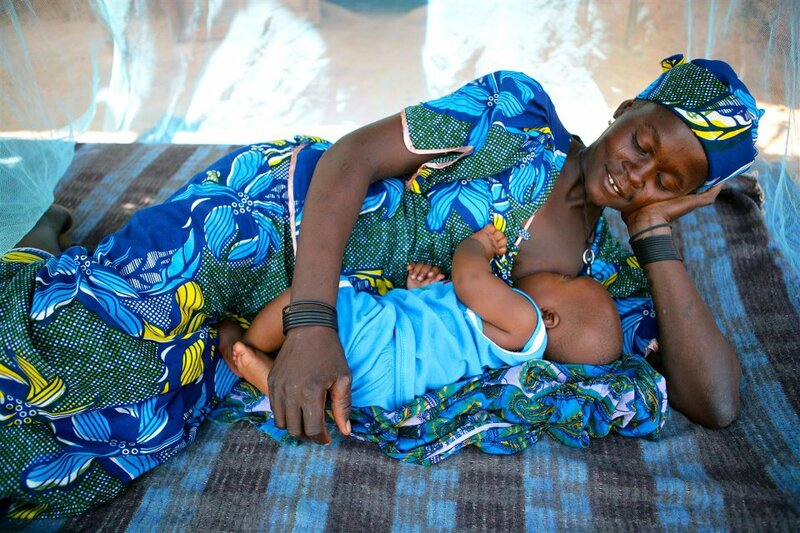 Malnutrition is at the heart of ECHO resilience efforts in the Sahel, given that over one million children are severely malnourished each year. The focus will be on the first 1,000 days of life. DFID was one of the first donors to focus on resilience following an extensive evaluation of its aid response. The donor is more active in the Horn than the Sahel, though in the latter it is supporting agriculture, food security and climate change projects. A 2012 DFID study on the cost-effectiveness of disaster resilience and early response in Ethiopia and Kenya revealed that every $1 spent on disaster resilience resulted in reduced humanitarian spending of $2.8 in Ethiopia and $2.9 in Kenya. The donor recognizes more needs to be done to address the root causes of poverty, to build the capacity and resilience of communities, so they can survive future shocks. DFID is trying to embed disaster resilience in country programmes in Ethiopia, Kenya, Malawi, Mozambique, Bangladesh, Nepal, Sudan and Uganda; the next set of countries is likely to include Sahelian states. The World Bank's West Africa office and headquarters declined to give IRIN an interview. However, the aid architecture as it currently stands, is not ready to embrace resilience yet. While certain actors have made progress in this vein - for instance the UN's common humanitarian action plans - a lot more holistic planning is needed. Holistic planning is easier said than done. USAID has come furthest in this area, setting up a joint resilience strategic cell made up of experts from agriculture, climate change, nutrition, health and food security, which work on joint plans to figure out how to put the most vulnerable people's coping strategies at the centre, said Chris Tocco, deputy director of USAID in West Africa. Other donors, such as ECHO, work with more unwieldy funding mechanisms, which make it much more difficult to set up integrated resilience planning cells. But ECHO's Eijkenaar recognizes that "stubborn sectoral, institutional, cultural and national needs must be overcome," as stated in a January 2013 presentation on the AGIR initiative, in which he encouraged donors and practitioners to get out of their silos. François Grünewald, head of URD, likens resilience in practice to cooking. "Integration would be like Thai cuisine (where the flavours of each ingredient can be distinguished from the others) in contrast to merging, which would be like Chinese cuisine (in which all the flavours are combined into a single flavour)," says the February 2013 edition of its magazine Humanitarian Aid on the Move. What does not work is when aid agencies and donors start labelling any and every activity as "resilience-focused", he noted. As the R-word gets bandied about in ever-wider circles, it has cropped up in unexpected places. For instance, according to URD, the US internal security website currently states that its main objective is resilience rather than security. Integrated programming will also, of course, require humanitarian and development actors to work together, something which the current aid architecture does not make easy. "It will take a long time for these different cultures to understand one another," said Sidi Mohammed Khattry, head of mission for the Mauritanian prime minister at a Dakar resilience workshop on 26 February. Currently, despite a common definition of resilience, as articulated through AGIR ("the capacity of vulnerable households, families and systems to face uncertainty and the risk of shocks, to withstand and respond effectively to shocks, as well as to recover and adapt in a sustainable manner"), donors in the Sahel are approaching resilience through very different lenses. For instance, ECHO sees it through a malnutrition lens; USAID is more food security-focused; while the UN Development Programme orients itself towards system-wide development and governance. Other factors to bear in mind in order for resilience to work: Development actors must shift their targeting from broad macro-economic priorities to address the poorest of the poor (roughly 20 percent of the Sahel's population). "To date the ultra-poor have been invisible to them," Eijkenaar told IRIN, partly he said, because they largely limit themselves to capital cities, while humanitarians work with the most vulnerable, no matter where they are. On targeting in agriculture for instance, Peter Gubbels, West Africa expert at research group Groundswell International, told IRIN: "It is essential to promote agriculture that is not just productivity-oriented, but multi-functional and targeted to the needs of the more vulnerable based in the most risk-prone, ecologically fragile zones - not in the high potential agricultural zones." By multi-functional, he means agriculture that focuses on productivity, adaption to climate change, sustainability, and that is nutrition-oriented. For Oxfam's Ford, it is vital to find a balance between bottom-up and top-down programming: "Focusing on the very vulnerable is vital, but you also need good governance to create the political space for the focus on vulnerable households to happen," she said. Humanitarian and development actors must build upon the work that has already gone into resilience - notably from sustainable development, disaster risk reduction and climate change adaptation experts, all of whom have been working on resilience-building for years. The 2005 Hyogo Framework for Action on building the resilience of nations and communities to disasters, is a clear start. While it sounds like common sense, resilience must be built around the priorities and existing assets of affected communities, say aid workers. Upcoming research by Oxfam reveals that communities themselves prioritize resilience and have myriad ways of coping with shocks: any aid they get they hope will reinforce these activities. National governments must not be sidelined, and more resilience programming and funding should be channelled through those that are able to take it on, say analysts. Finally, measuring resilience is important, and benchmarks of success need to be addressed alongside efforts to define what comes after the 2015 Millennium Development Goals. An AGIR team is currently working on success benchmarks - some of which may include the rate of malnutrition, under-two mortality, food insecurity, the humanitarian assistance burden, the proportion of a population's least resilient, people's purchasing power, cost of diet and food diversity scores, among many other aspects, said Eijkenaar. The Hyogo Framework for Action is a good reference for wider-scale benchmarks, say analysts. Thus far, the funding breakdown for resilience in the Sahel is not clear. The European Commission's DEVCO mobilized 164.5 million euros in 2012 for the Sahel crisis, part of which was used to advance resilience this year and next, said Eijkenaar. ECHO is already "resilience-friendly" in its approach to aid, he said, for instance by integrating and phasing its work into national programmes and using careful vulnerability targeting. USAID is set to announce its resilience-oriented funding soon; the UK Department for International Development (DFID) was unable to give global figures; and AGIR Sahel promises a new funding mechanism but has not yet detailed amounts. The World Bank declined IRIN's requests for an interview. Building resilience and dealing with the aftermath of crisis will require at least as much money as last year in the Sahel, said Ford. "It is still a crisis year. The poorest. did not suddenly get rich because of a good harvest this year. Extreme poverty is not a trap you get out of in just one year." But more important than an amount, is the way the money is allocated. Over the long-term, if used well, resilience could be cheaper, as evidenced by DFID's research in Ethiopia and Kenya, which revealed that it would cost 64 percent less to prevent crises than to respond to them. "Reducing the impact of natural disasters saves money, lives and livelihoods, especially for the poor," said DFID spokesperson John Levitt.